If you follow me on IG you've probably seen a loooot of hiking pictures lately. Our weather isn't very comfortable for long so I try to get out a lot this time of year and enjoy it! 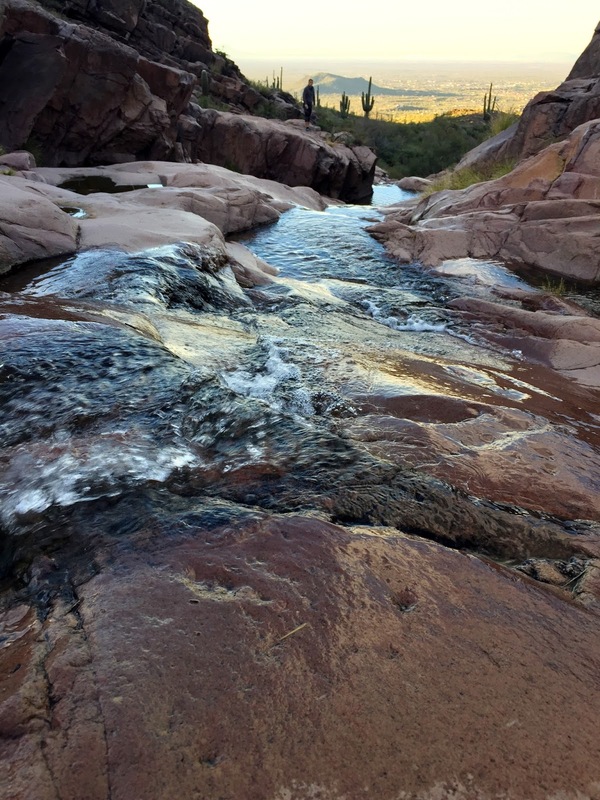 A few people asked about our favorite places to hike in Arizona. 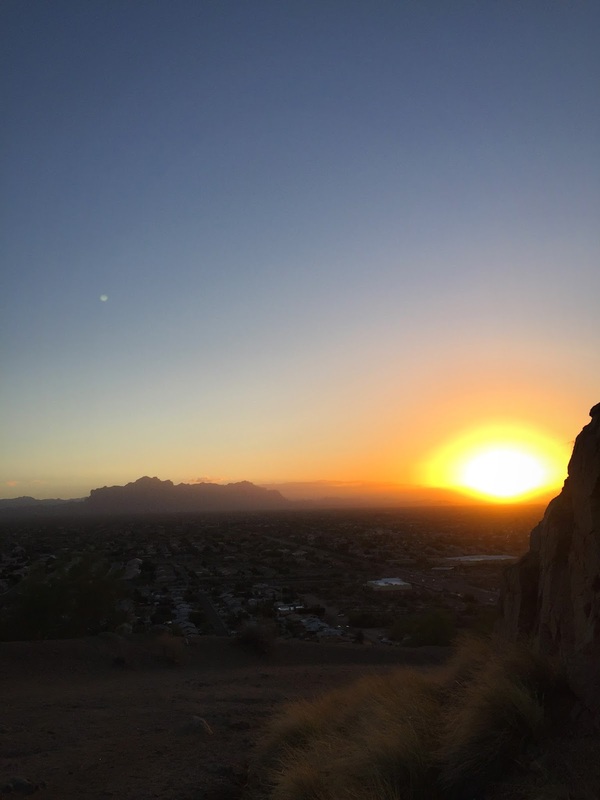 We live in the east valley so these hikes are all in our general direction but I know there's good stuff in the west valley too! This is our favorite place and the one we hit most often. It costs $7 per car to get into the state park. The thing I like most about Lost Dutchman is the variety it offers. You can do a glorified nature walk OR you can climb a mountain and possibly die in the attempt. Both are options! We do the Siphon Draw trail most often just because that's where we usually park and it has a very gradual elevation gain, which makes it a good one for kids. We've done the other trails and they're great too. Siphon Draw is fairly easy and well marked. It takes you up to Flatiron, which is NOT easy and NOT well marked. A few weeks ago I had a weekend morning to myself and decided I'd like to go for a hike. I ended up at Lost Dutchman and quickly found myself at the end of Siphon Draw contemplating the final mile to Flatiron and decided to go for it. It was a gorgeous overcast day and we've had a rainy winter so everything was all green and there were little waterfalls all over the place. 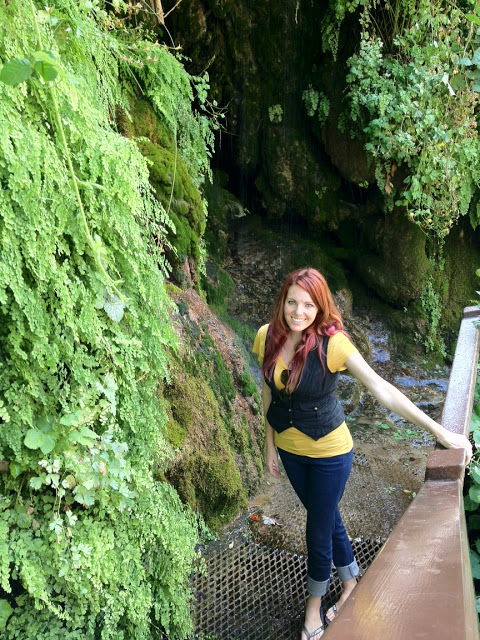 The hike was hard (borderline rock climbing in some places) but SO PRETTY. I couldn't get over how magical it was. I told this story on Instagram but the weather closed in and I couldn't see 10 feet in front of me. I lost the trail AND my phone died (at 43% battery) right after I texted my husband "It's getting wetter and the hiking has gotten really hard." I was only 15 minutes from the top but a freezing rain had started and I kept thinking, "this is a 6 o'clock news story waiting to happen" so I turned around and painstakingly picked my way back down the soggy mountain. I walked in the door an hour and a half later just as my husband was getting ready to call the park service and ask if they could go find me. 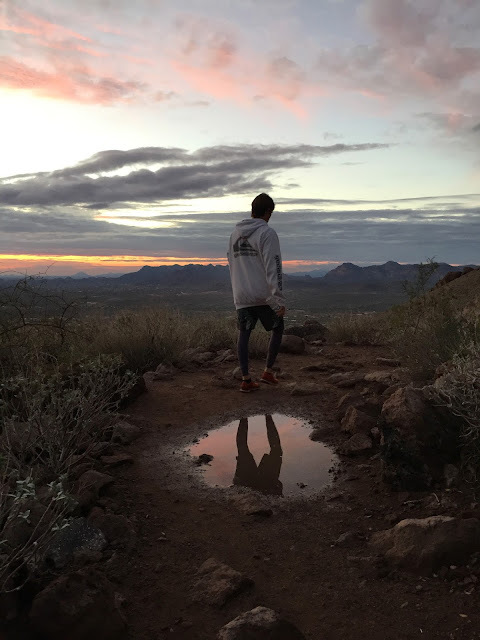 So, you could do that, or you could go for an easy and flat walk through the desert at the foot of the Superstition Mountains. Either way you'll have gorgeous views- I have a million pretty pictures of the park from over the years! 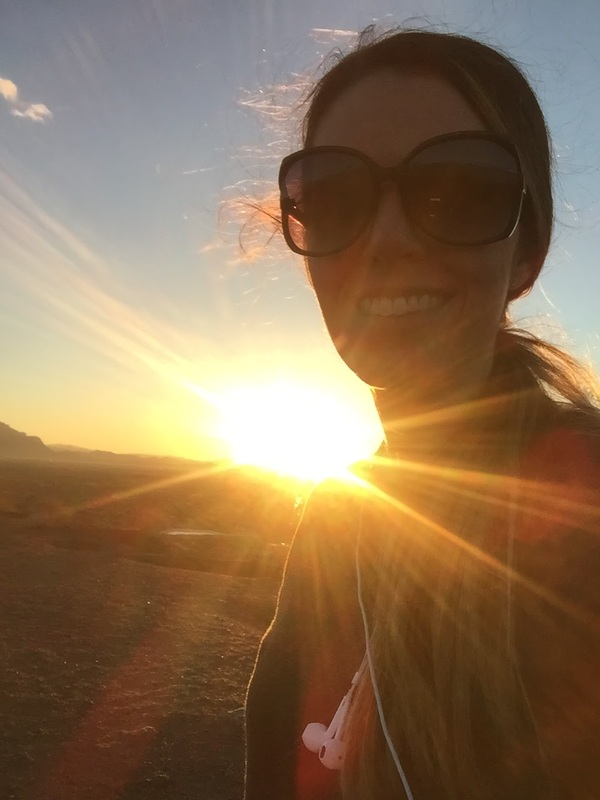 Lost Dutchman is just a really good "something for everyone" type place. I did this one a couple times in high school and remember thinking it was SO HARD and SO TALL. It is quite steep and rocky BUT it's short! If I do this one I usually do it 2 or 3 times. It's a great hike for when you just need to get outside and get your heart pumping. I'd say it's semi kid friendly. I actually did it this morning with a couple friends. I had to carry my toddler up but my friend's energetic four-year-old hiked it just fine on his own. That mountain in the background is The Superstition Mountains and Lost Dutchman State Park. The views from the top are SO PRETTY. 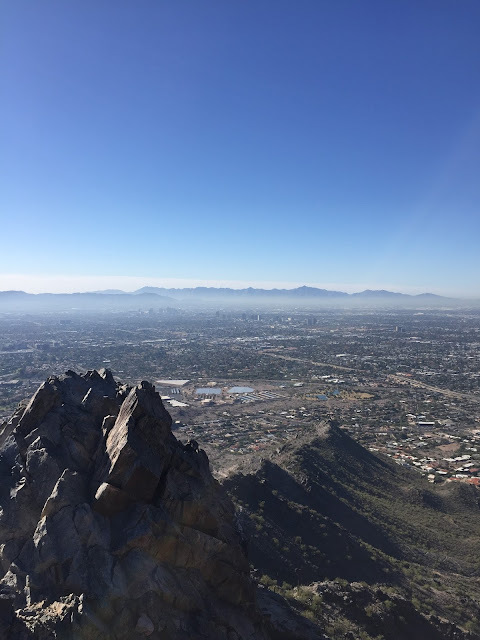 Visibility today was only so-so but we could still see downtown Phoenix from the top. When it's clear you can see for ever. It makes for a good sunrise, sunset, or night hike. It's also quite popular- there are almost always people on this hill during the not-hot months. I drove by at almost midnight a couple weeks ago and saw flashlights up there. The hill is located on the north side of Brown Road just west of Ellsworth in Mesa. Look for the cars. This is way out in Gold Canyon. If you put it into Google Maps it'll pull up directions. You go through a neighborhood and you'll feel like it isn't the right way, but it is! Also, the navigation doesn't take you quiiite to the trail head. Just keep going straight until you hit the parking lot. We took our kids here a few years ago and the 2.9 mile hike was a bit much for my then 4-year-old. Older kids could handle it no problem though. The elevation gain is very slight and the payoff at the end is SO GOOD. The trail ends at a small stream with some waterfalls. I've heard of people getting in the water but I never have. There are hieroglyphs on some of the rocks- it's really fun to poke around and see how many you can find. This is another popular one. I did it at sunrise last week and there was only one other group on the trail but by the time we headed back there were tons of people working their way up. We've been when it was crazy crowded though and it was fine. It's just hard to get good pictures, if that's your thing. Another "something for everyone" area. The summit trail is pretty brutal- basically like climbing stairs for 45-60 minutes for a 1200 foot elevation gain. I did it in December and kicked myself for not wearing a tank top under my long sleeved thermal (for the record, it was 37 degrees when I started out). The summit trail is work. It's also really popular so there are plenty of people around to commiserate with. But there are a bunch of other really great (easier!) trails in the area. If you visit the website you can check and see how difficult each trail is before picking. One annoying thing to know: the trailheads don't necessarily share the same name as their parking areas/ramadas. Like the Freedom Trail originates from the Apache ramada. That frustrated the heck out of me when I went in search of a specific trail once so just make sure you check before you go so you know where to park. This one is a little further afield (it's close to Payson, about an hour and a half from us) so it's not one we do all the time but we end up going every couple years. There are a few different options for viewing the bridge- you can take the easy, paved trail OR there's a hike that comes in the back way. There are also a couple other trails within the park. The Waterfall Trail (pictured below) feels like a random piece of tropical rainforest hidden in the desert. From a trip in 2012. It was too warm to hike so we stuck to the paved trails that time. I have plans to try a couple new-to-me trails over the next few weeks and I can't wait! Locals- where are your favorite places to hike in Arizona? I have that book too and it's a great resource. 60 Hikes in 60 Miles, right? 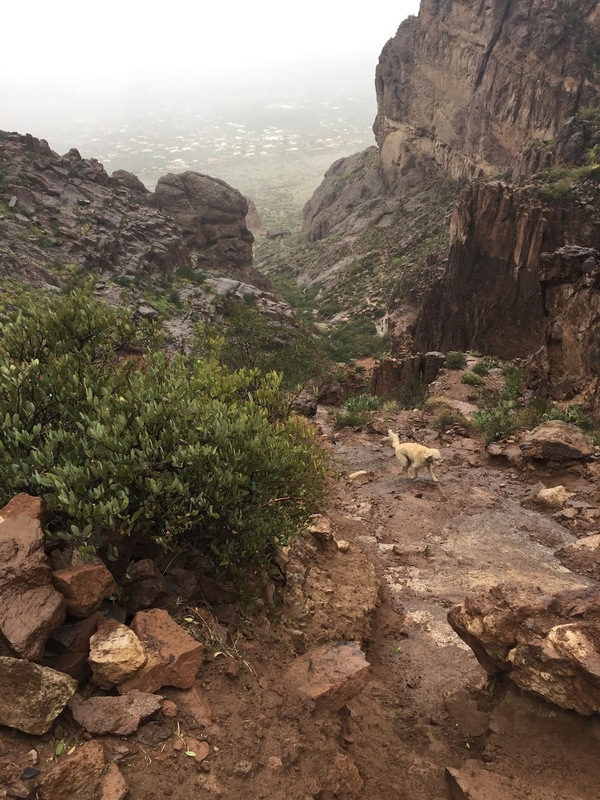 Have you done the Peralta Trail? 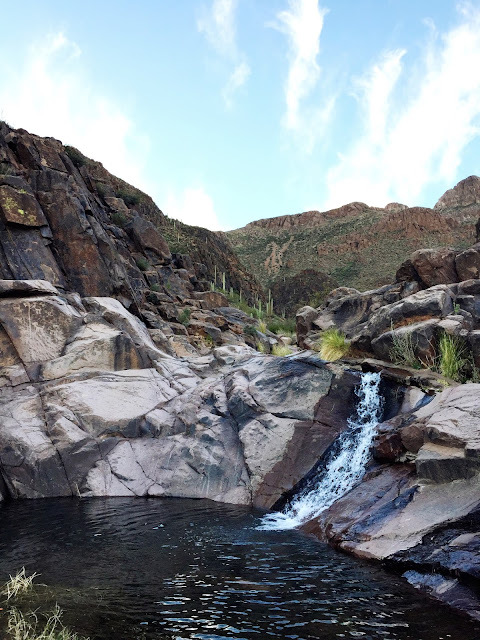 It's just past Gold Canyon and comes in a little further back in on the same side of the Superstitions. It's popular but not nearly as busy as Hieroglyphics. 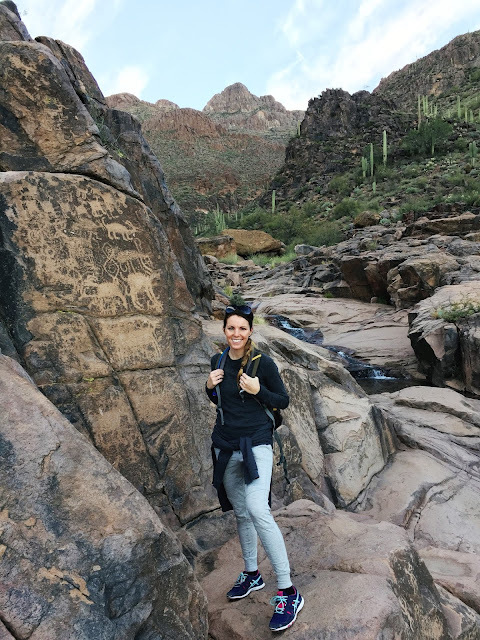 Your IG makes me want to hike in Arizona! And I live in Maryland.